Applications for College qualifications can be made at any time. Places are allocated in order of receipt and applications will close when the lists are full or at the deadline whichever is the sooner. The details on this page concern applications to the RCO’s diploma examinations. Click here for applications to the Certificate of Accredited Membership (CAM). Online via the Members Area of this website (you will need to be signed in to see the relevant options). On the application form available from either the Resources & Support page or from administration on 020 3865 6998 or at andrew.macintosh@rco.org.uk. Completed forms, with the appropriate entry fee, must be returned to The Royal College of Organists, Bookings and Payments, PO Box 7328, New Milton, Hampshire BH25 9DU, to be received no later than the advertised deadline. Applications received after the deadline will not be accepted. 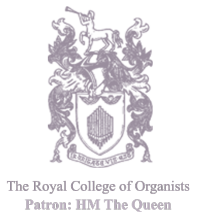 Cheques should be made payable to ‘The Royal College of Organists’. Prospective candidates must be Members of the College before they can sit any of its examinations. Applicants who are not Members of the College must therefore join the College as a Full or Student Member at the same time as submitting their examination application. Figures in brackets for ARCO and FRCO relate to fees (inc. VAT) payable by candidates in full-time education. Candidates over 16 years of age seeking to pay student fees must supply evidence of registration in full-time education.